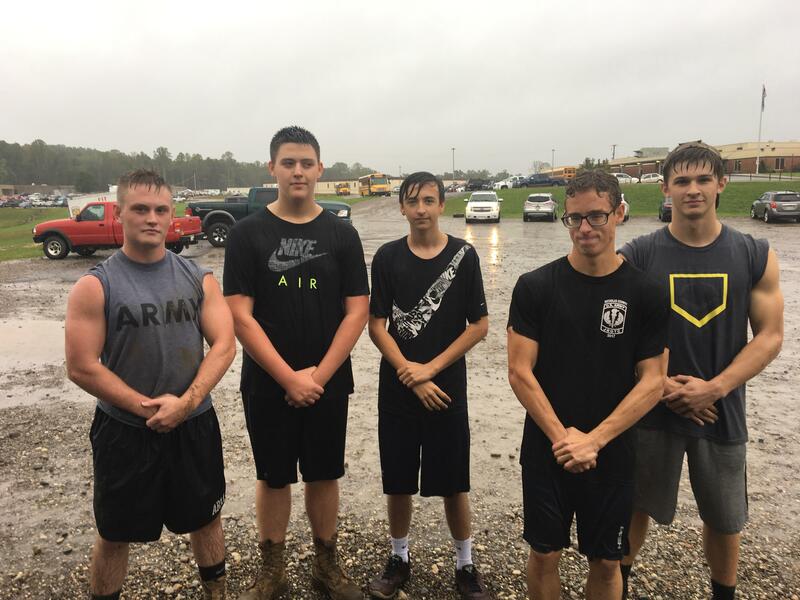 The Grizzly Gazette would like to congratulate Nicholas County High School’s JROTC for getting first place out of fourteen teams at a physical training competition on Thursday, October 11th. Elijah Lanagan ran a mile in five minutes and six seconds, which won the individual time run by thirty seconds. This played a huge role in leading the team to victory. Austin Lipscomb, Faith Lipscomb, Peyton Wilson, Christopher Canterbury, Josh Pritt, and JoJo Maynard won first place overall in the tug of war event. The tire carry was won by Austin Lipscomb, Faith Lipscomb, Peyton Wilson, JoJo Maynard, Elijah Lanagan, and Josh Pritt. Over all, the team took first place in the physical training competition. On December 15th, JROTC will compete in a drill and ceremony competition. They are working hard to get to where they need to be to bring home another win. “We brought home all 4 trophies,” said Mr. Friend, JROTC Advisor.